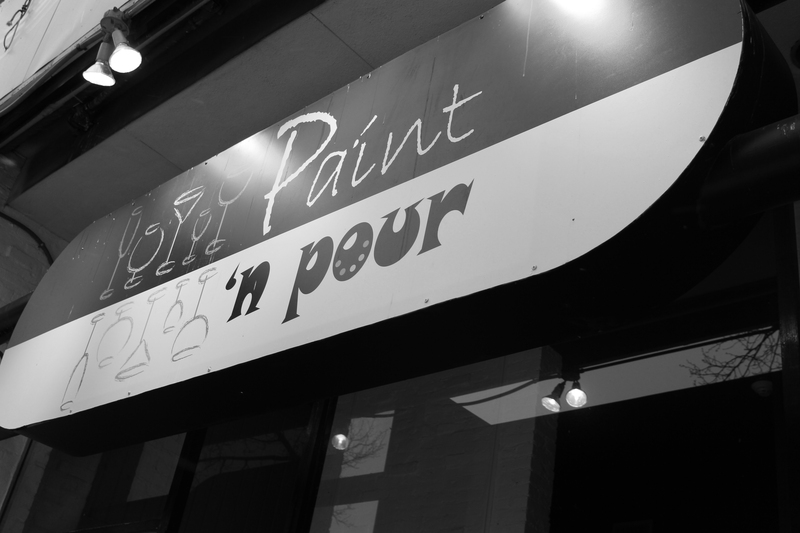 Located at 284 Moody Street in Waltham, Paint ‘n Pour has become a popular late night hot spot for parties, events, date nights, and girls’ night out. More recently, you may have seen Paint ‘n Pour travel to Lasell to host a night of fun, friends, and painting. With paint ‘n sips booming across the country, this is something every type of artist will love. After owner Suzanne Henderson attended her first paint ‘n sip class in Charleston, S.C. in 2011, she was hooked. “I loved the experience, it was so relaxing and everyone had a fun time. At the time I had no plans on opening my own,” said Henderson. Once the concept arrived into the Boston area, Henderson wanted to be part of it. 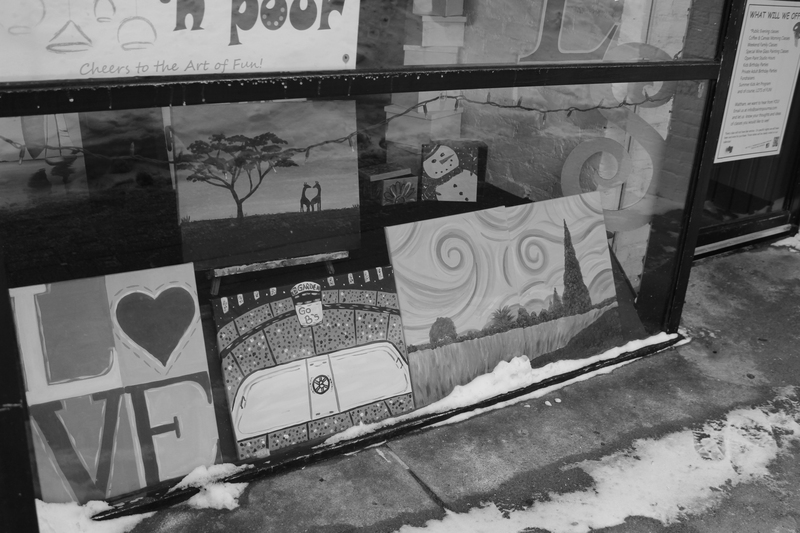 This past July, Henderson opened her Paint ‘n Pour location in Waltham. Henderson explained art can be intimidating to those without any experience and the studio is a place where people can be creative without being judged. “It’s therapy for some people, they leave all the hectic and craziness and stress that is going on in their lives behind for two hours and just focus on the canvas and listen to the music. Some people choose to drink beer and wine and others don’t,” said Henderson. Upon arrival, each painter is provided an apron, canvas, paintbrushes and paint. The classes run about two hours and all include step-by-step instructions from Paint ‘n Pour’s two instructors Chelsea Hueter and Henderson. With prices ranging from $25- $35, including all supplies and instructions, you can’t ask for a better deal. The studio also holds an open studio; a time where people can paint canvas, pottery, glasses, and wood initials on their own with no instructions. Don’t have a car? Lasell CAB had recently brought Paint ‘n Pour to Lasell. Space was limited but free to students with a Lasell ID. To sign up for an event at the Waltham location, go to paintnpourma.com where there is a calendar full of events for each month including open studio time. Once you have decided on which class to attend, you can simply register for the class to reserve your spot. Classes are for anyone ages 13 and older. If under 16, a parent must be present to participate in the class. Anyone 21 and older can participate in Paint ‘n Pour’s beer and wine nights offered at the Waltham location. Everyone 21 and older will be asked for an ID and BYOB is not allowed. Paint ‘n Pour recommends patrons arrive 10-15 minutes early and remember to make a reservation since space is limited.